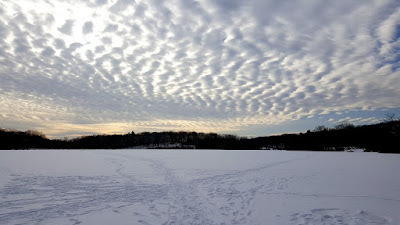 I had finished up my tasks on Friday earlier than expected. 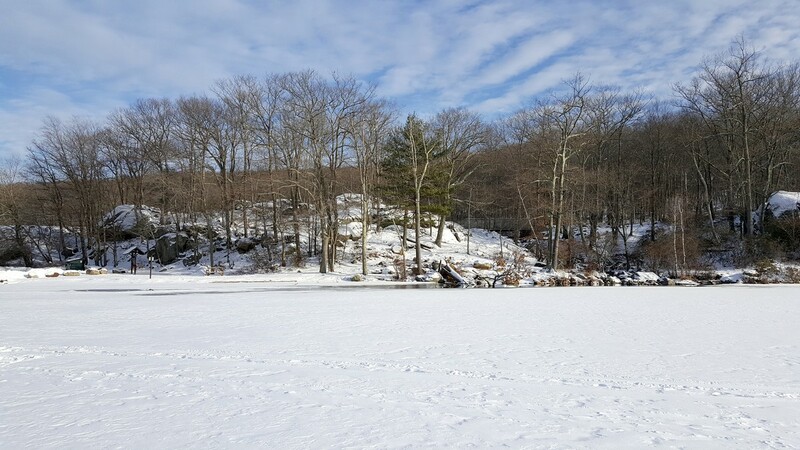 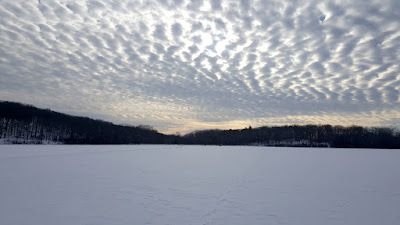 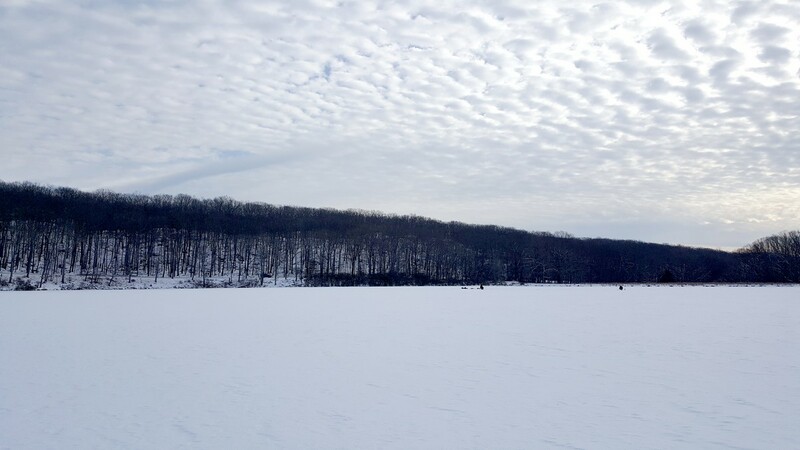 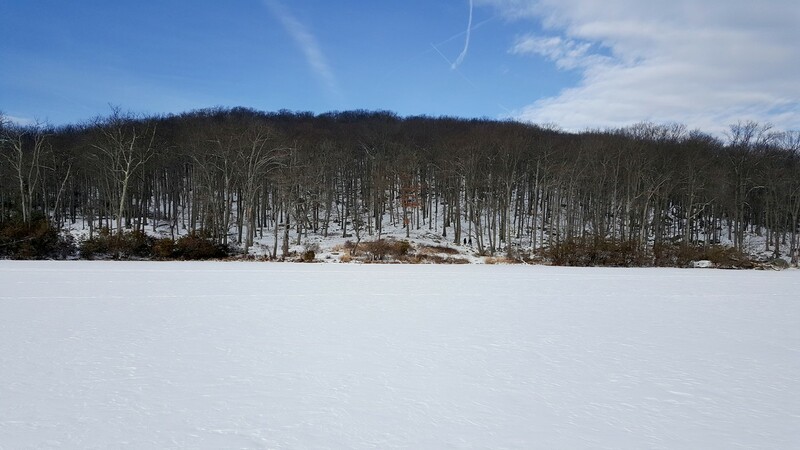 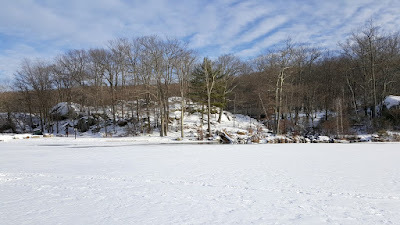 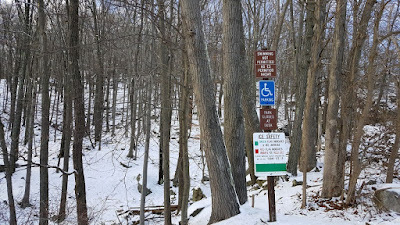 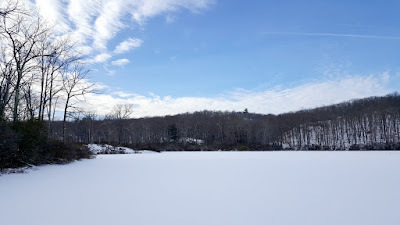 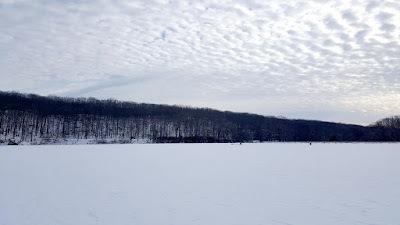 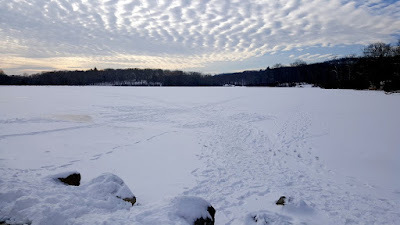 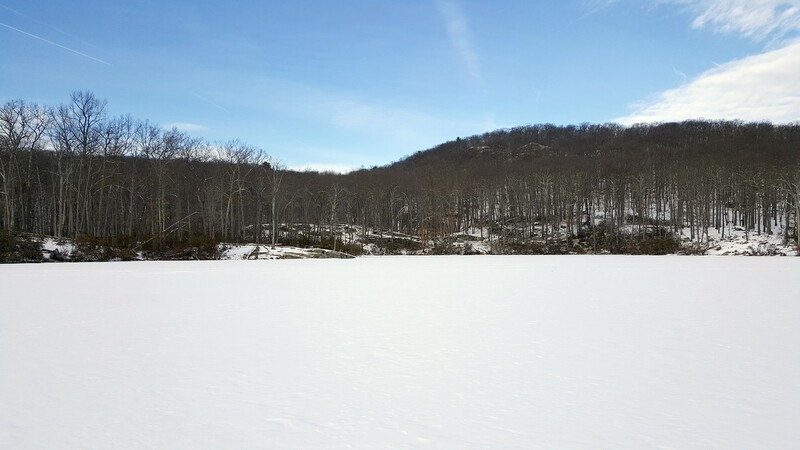 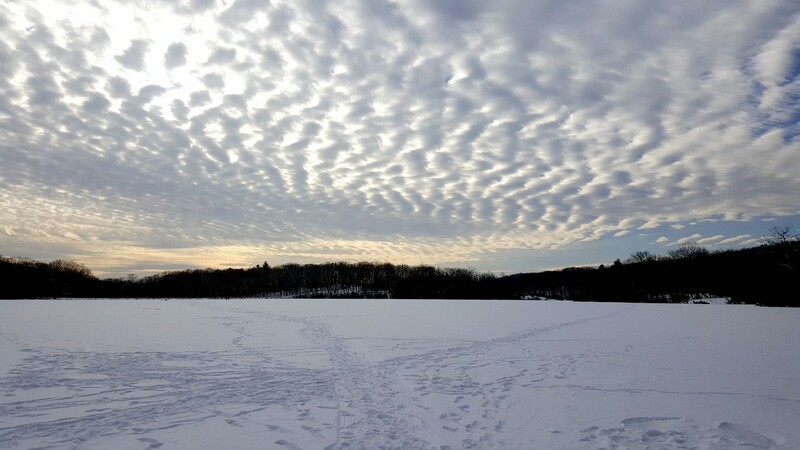 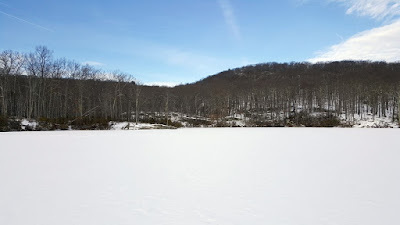 Considering it has been cold all week, I suspected that the lakes in Harriman were still frozen, and with the predicted warm weather over the weekend, I was afraid the lakes would no longer be frozen for my Sunday hike. 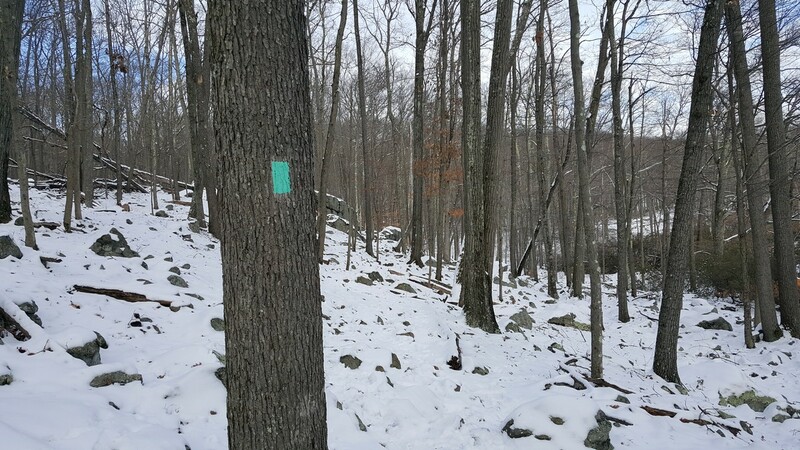 I therefore decided to leave my office a bit early, for a very short Harriman hike. 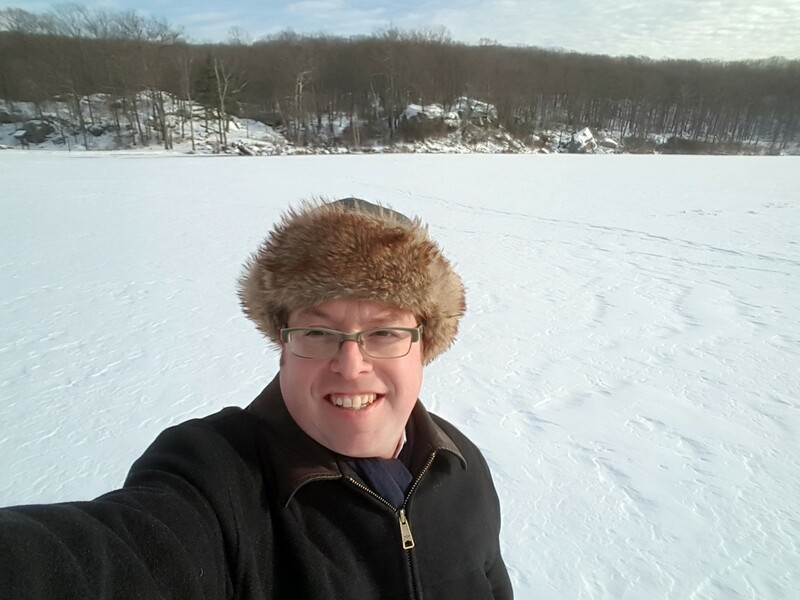 I was delighted to see the lakes frozen. 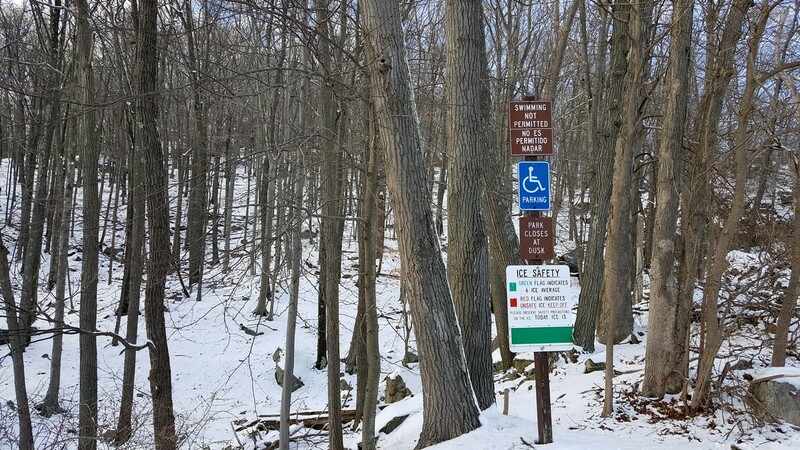 and posted as safe by the rangers. 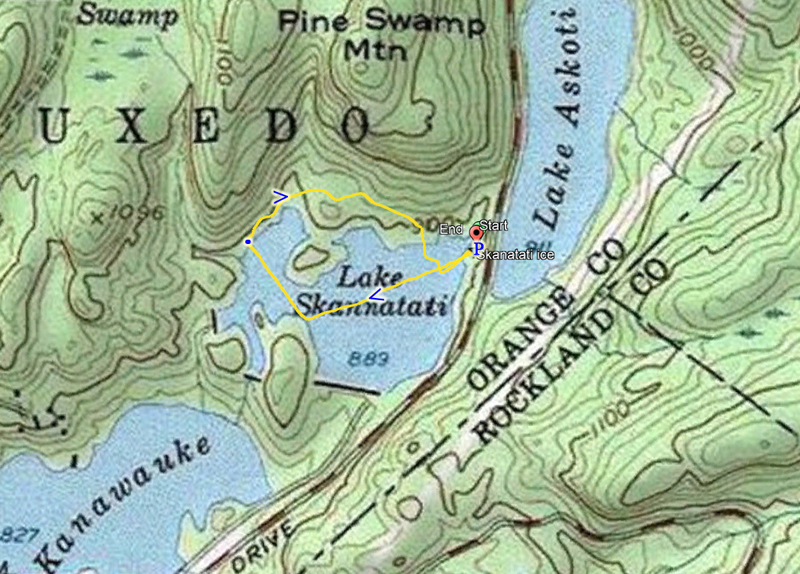 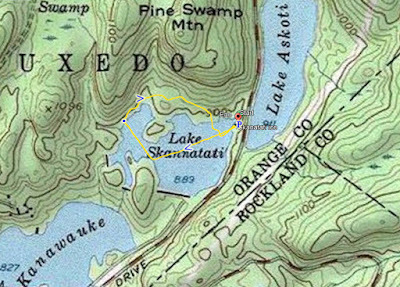 I parked at the Lake Skanatati parking area, and then walked accross the length of the lake. 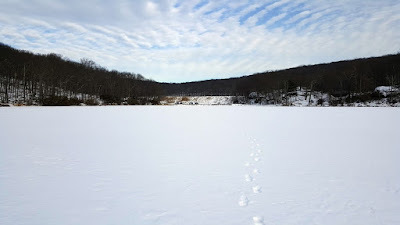 Upon reaching the far end, I took the Long Path back towards the parking area, and then for another short portion on the lake itself. As this hike was spontaneous, I did not have my camera with me. These pictures were taken with my cell phone.